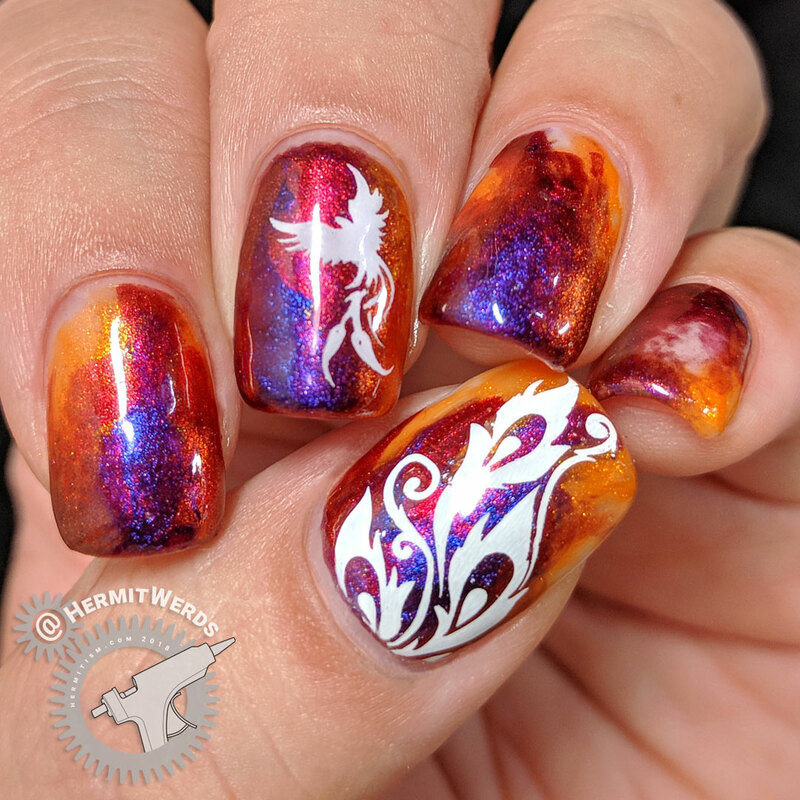 Today I tapped into some of the oldest polishes I own to paint some firebird nail art to cover #GlamNailsChallenge’s fire and feather prompts. I’ve owned my pair of Sally Hansen Nail Prisms duochromes for well over a decade. “Burgundy Orchid” even needed a little nail polish thinner to combat goopiness, but three coats still saw me through to the final results. 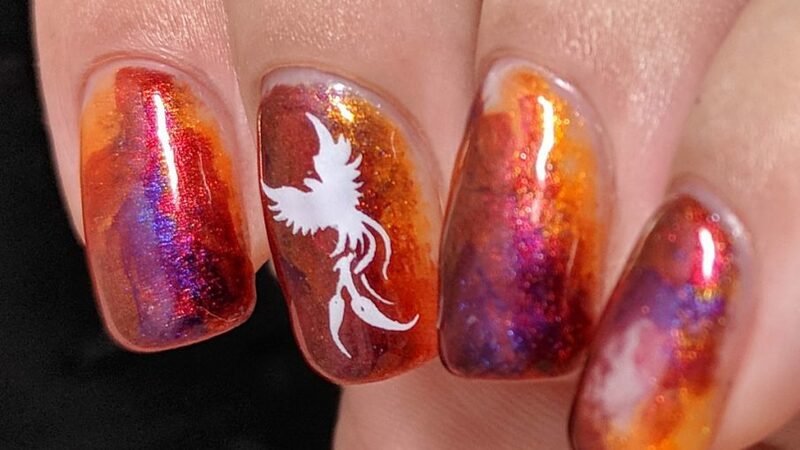 I kind of freehanded a flame-like gradient with both a small piece of sponge and the nail polish brushes. Then I stamped on top. 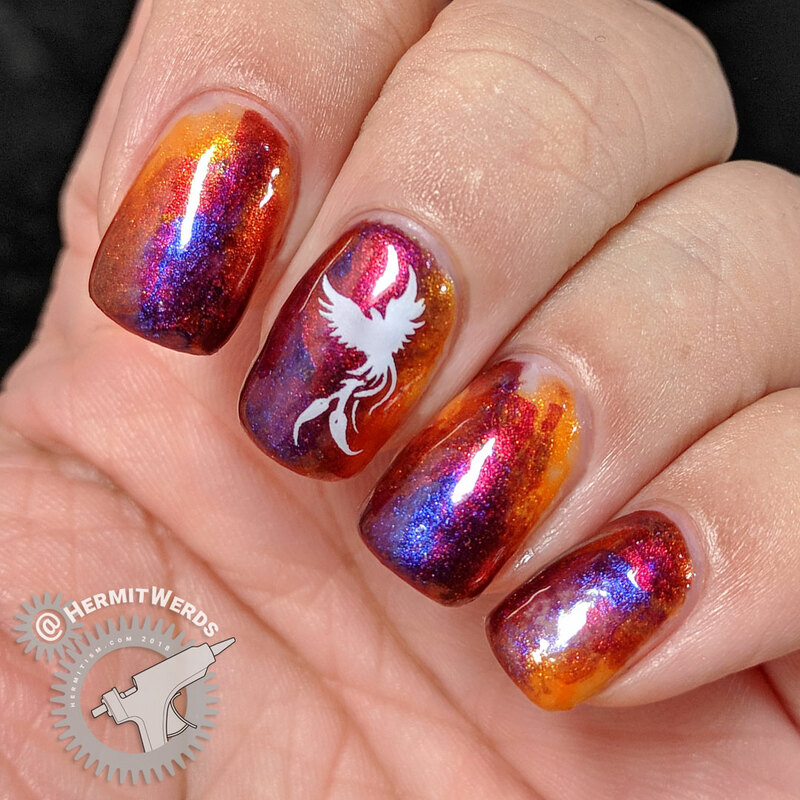 And here’s the amazing thing: I actually cut back on how many feathers I was going to stamp because I wanted the duochrome to shine. That’s right. I simplified a design (for once)! I’ll admit. I almost pulled a lazy and didn’t paint my thumb at all. But once I realized I didn’t want to stamp any feathers on my fingernails, I knew I had to paint my thumb so I could add some there. 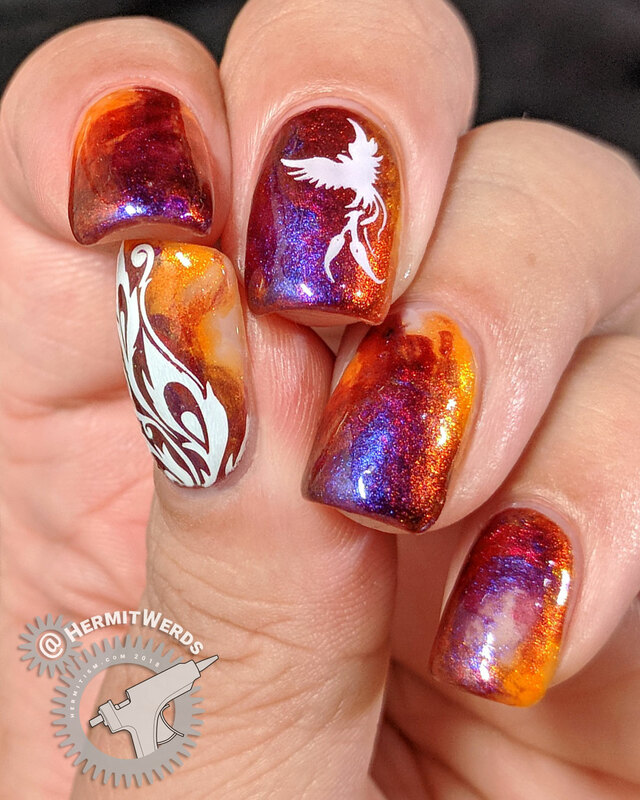 A bird stamp doesn’t quite complete a feather prompt even if the bird has flamboyant tail feathers.